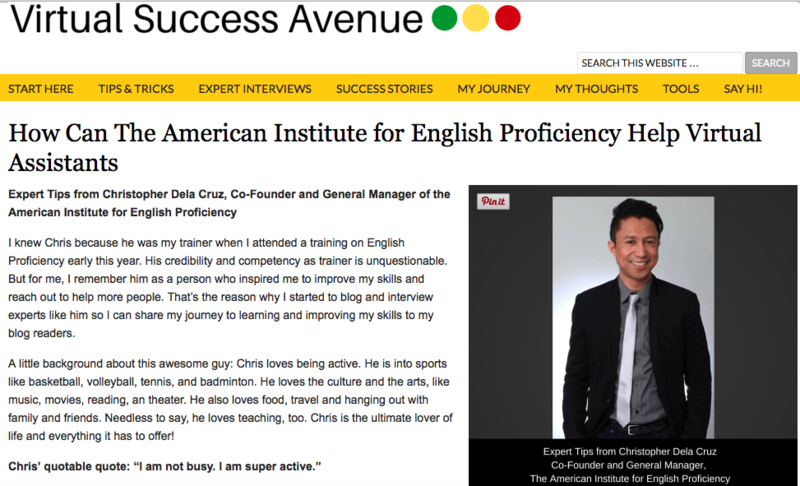 Christopher Delacruz is the co-founder and general manager of the American Institute for English Proficiency and has a degree in Political Science from Seattle University in Seattle, Washington. He is a former school literary magazine editor, newspaper editor-in-chief, and has worked as a writing consultant at Seattle University’s Writing Center. He is a multi-award parliamentary debater and the Western States Communication Association Impromptu Speaking Champion during college, and graduated as commencement speaker of his class. As keynote and plenary speaker, he has given presentations and conducted seminars such as English and Communication Excellence for Global Preparedness, Personal, Professional, and Personality Development, and Critical Thinking Skills Development and Train-the-Trainer. He has been featured on television as ANC Square Off debate coach and as guested on a few television shows. He has also conducted training to celebrities, politicians, and businessmen. 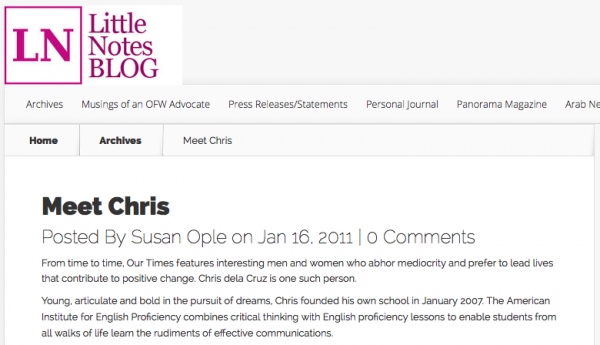 Get to know more about Chris here. Skills and Talents. Well, other than English and communication skills, I have some acting skills. I am not sure I would consider it as a talent since I don’t think I am as good as others, but I was in our high school’s theater group for four years, and I even one two Best in Dramatic Interpretation awards, one in my freshman year and one in my senior year. I played roles in several Shakespearean plays, and I played Macbeth. If I could have a talent, I wish I could sing.I do have leadership skills since I have always held leadership positions: class president, editor-in-chief, debate team captain, club president, honor society president. I was even a fiesta director at Seattle University. I have been a branch manager in Las Vegas, and now, I am the co-founder of the American Institute for English Proficiency. I vowed that I would be a great English speaker, and the rest, as they say, is history. I was a branch manager and marketing manager in Las Vegas, Nevada, working in retail and staffing services. However, I found my calling here in the Philippines, training others what I have learned over the years. Personal Motto. My personal motto is Carpe Diem, latin for seize the day. We should always take advantage of the time God has given us. We must not let it go to waste. I also like carpe diem because “C” and “D” are my initials: Carpe Diem Chris Delacruz. Seize the day, Chris Delacruz. Professional Philosophy. Ethics first. Yes, we can make money, and we can achieve our goals in our careers, but we must remember to do things with ethics: honesty and integrity. Attitude, not aptitude, determines altitude. It doesn’t matter how smart, skillful, or talented one is. If he or she has poor attitude at work, then life becomes toxic. Travels. I have already mentioned some of the places I have traveled to. Let me talk about my travel philosophy instead. When I travel, I like to immerse myself in the culture and the people. Yes, I like taking photos and posting them online, but nothing beats the experience in talking to people and spending time with them. Other than enjoyment, travel for me is learning; it is transformative or life changing.Ever since I was young, I have traveled. However, on November 28, I decided that I would travel for the first time without family, friends, or colleagues. You see, I have always been surrounded by family, friends, and co-workers who also love to travel, and the experience has always been great. At the American Institute, we travel a lot, and I am always surrounded by colleagues and clients. I heard that traveling on your own or with strangers offers a different experience as well. I have always contemplated doing this, but it was only until a week ago that I decided to do it. I went to Sagada with 10 strangers, and the experience was indeed transformative. Now, I am excited to travel more with strangers as I have learned that it is in getting lost than I am found.I have yet to do a solo trip. Favorites. I love doing so many things that sometimes, I am not sure if I have a favorite. Let’s start with the easy ones. My favorite color used to be blue, but I love red now. I don’t know why it has changed. Can anyone explain? My favorite cakes are tiramisu and cheesecake. On my last birthday, I had a mango cheesecake. Yummy! My favorite chocolate is Hawaiian Host Chocolate Covered Macadamia. My favorite Filipino food is pinakbet. That’s the Ilocano in me!My favorite restaurant is my mom and dad’s kitchen. I took their cooking for granted, and I realized that my mom and dad are the best cooks in the world. Nothing beats home-cooked meals prepared by our parents. You see, I have always lived away from home ever since I graduated from high school. Now, I live on fast food, restaurant food, 7-11 food, and street food. I remember I complained about my mom’s cooking because she was always serving us Filipino food. Now, I don’t care what she serves. To me, they will always be the greatest food! Dinengdeng from my mom and lauya from my dad. I can’t wait to go to Las Vegas and live with them for a few months. I will not go to buffets and restaurants when I don’t have to. Newspaper delivery boy. I can’t believe a delivered the newspaper for about three years. Yard word. Both my grandparents cleaned rich people’s properties. They invited me to go with them, and I was so happy getting paid. I remember cleaning hotels with my grandpa Ben in Kauai and the house of former congressman Neil Abercrombie with grandpa Felix in Honolulu. Telemarketer. In high school, I called people to donate to a cause.Pizza delivery boy. I worked for Little Caesar’s Pizza for several months during my senior year in high school. Work study in college. I did a lot of office work for the university. Writing consultant in college. As a college student, I was selected by my English professor to teach other university students how to write well. Branch manager. In Las Vegas, I was a manager at Enterprise-Rent-a-Car. I learned so much about marketing and managing people here. I worked for two other rental car companies doing marketing: Hertz and Budget. Staffing manager. I left the rental car industry after a few years because I didn’t feel fulfilled. I wanted to help people, so I became a staffing manager, doing recruitment, placement, and marketing.Now, I am the co-founder of the American Institute for English Proficiency. With all my marketing and management experience, I really wanted to do something on my own. To make a long story short, since I co-founded the institute almost 10 years ago with Paulo “Vin” Magbuhos, I have never really looked back. Sure, there were many frustrating moments, but I believe that all these moments were lessons that made me stronger. I have lost millions of pesos doing other businesses such as call center and restaurant, but I consider these growing pains. The measure of a man is not in how many times he falls, but in how many times he rises. I can’t wait for my next venture. The Future. I really don’t want to talk about the future. Let’s just carpe diem, or seize the day. When we take advantage of each moment, the future will take care of itself. Growing Up Memories. I would say that I had a rough childhood. Even if I was raised in the United States, it doesn’t mean that everything was easy. At that time, my father was an absent father as he gambled all his money away and was always drunk. My mother was left behind in the Philippines, so I didn’t see my mom for about seven years. As the eldest of five children, I promised myself to do well in school because I wanted to make my father proud, make my mother happy, and be a good example to my siblings. I vowed that I would not be like my father, and I would make sure that I would help my mom and my siblings. There were times when I felt so depressed, and all I could do was cry. So, I dabbled in everything I could to focus on the positive things in life. I played sports. I did theater. I excelled in academics. I worked. I always prayed that someday, our family would not be dysfunctional. About ten years ago, right before I came to the Philippines, God answered my prayers. My father cried and asked for forgiveness. My mother became happier as a result. My siblings were grown up, working in Las Vegas. Every year, they come to visit me here in the Philippines. Now, it’s my turn to go back home to Las Vegas and reunite with them. I can’t wait. A senatorial candidate in 2015, Susan Ople is a former undersecretary of the Department of Labor and Employment. Her father is the late Blas Ople, former senator and Foreign Affairs secretary. She is the president of the Blas Ople Policy Center (BOPC). In January of 2011, the American Institute for English Proficiency collaborated with her center. 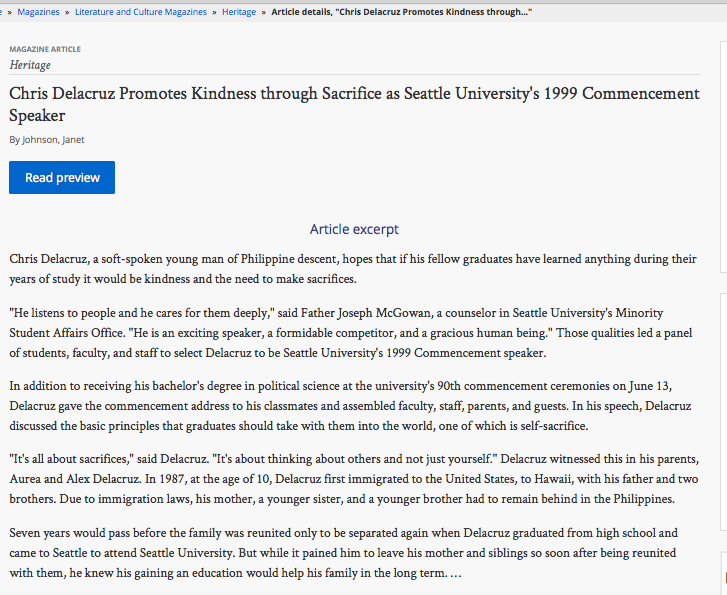 Here is an article she wrote on Chris Delacruz. Early this year, Chris Delacruz provided a workshop on English Proficiency and Social Media Management for an international corporation. One of the participants, Gwen Doria, who is also a blogger, interviewed Chris Delacruz regarding English, communication skills, and virtual assistants. 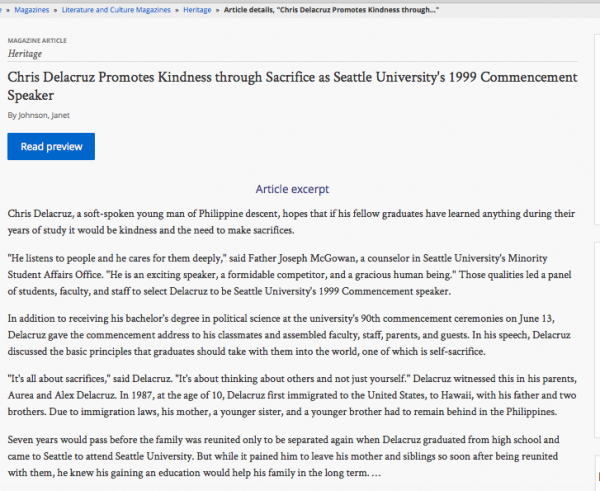 Chris Delacruz was selected as the commencement speaker of his graduating class at Seattle University in Seattle, Washington. He was one of 10 finalists who competed and was finally selected by a panel of judges to represent his classmates in a speech on graduation day. Early in 2015, Chris Delacruz was sought by GMA News Saksi to present his views on the current situation of English proficiency in the Philippines. In June 2015, Chris Delacruz, Paulo Magbuhos, and Wyn Inocentes shared their expertise regarding English in the Philippines on a television show called Philippines Uncut, hosted by Buddy Cunanan. PART 2 OF 3. 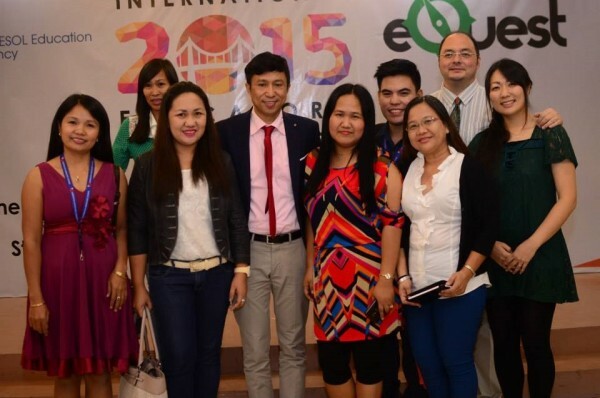 Chris Delacruz was invited to be a plenary speaker at the 2015 International Educators’ Conference and presented a plenary on Training International Students under the conference’s theme: Bridging the Gaps in Education: Fortifying International Cooperation. Hi @juliaborisenko:disqus. It was great having you in class. Too bad I wasn’t able to hang out with you and the other students outside of class as I was always in between the two branches. Thank you for your great opinions in class as it made the conversations definitely more interesting. Best wishes. Hi Fares. Thanks for being a part of the American Institute for English Proficiency. I’m happy to know that you are much better speaker than before. Remember that learning English is a continuous process. Keep practicing and keep learning wherever you go. Good luck to you. First is the importance of having confidence. A lot of people know what confidence means but not everyone knows what true confidence is and the advantages it brings to a person who has it. Confidence is not only about being able to walk on stage with a straight back or being able to speak with a loud voice when faced with a crowd. Being confident means having the courage to take risks and learning from whatever the outcome is. Confidence empowers people and helps them achieve goals no matter how difficult it may seem. Confidence needs courage and substance, and in order to have substance, one must also learn how to think critically. When I was in college, I had a “Critical Thinking” subject. I took it for granted because its value was never explained to me. It was only when I started working AIEP and training under Chris that I realized what the importance of critical thinking is! Because of that, I’ve been trying to understand situations better and evaluating whatever information I obtain before acting on them or accepting them. Indeed, this has transformed my way of thinking. Last but not the least is the value of grit. This, for me, outweighs everything. Grit is not a word commonly passed around or used in conversations. In fact, I was only reminded that this word existed when Chris mentioned it in one of our training sessions and because of that, I’m sure that I would never forget that word again. Grit is being able to persevere no matter how difficult a situation gets just so you could reach your goal. Grit is not giving up and never losing the drive to keep going. When a person stops because of failure, that’s where the learning stops as well. But if you have grit and you choose to stand up no matter how many times you’ve fallen and learn from your mistakes, the lessons and experiences you gain become infinite, and your growth becomes limitless. These three lessons are ones I know I would take with me for life and even pass on to my students and future children. 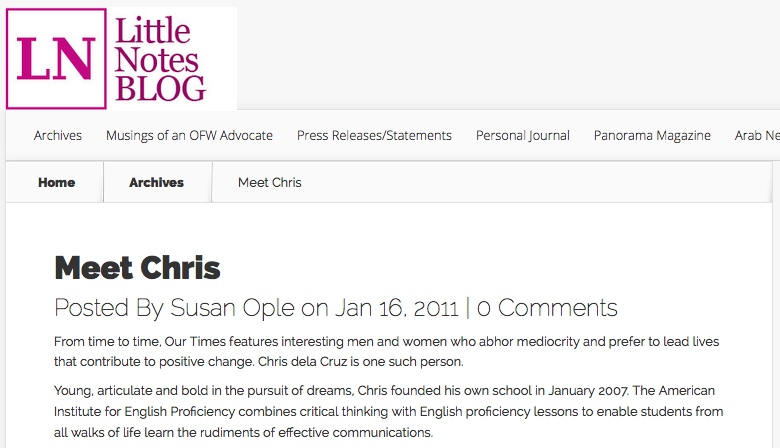 Chris is effective, inspiring, and admirable. There is no doubt that anyone who listens to him would gain lessons that will be remembered through time.